Almost 5 million Australian adults are obese. This means that around 30 percent of our population is carrying an excess amount of body fat. A healthy body weight is made up of between 24-30% fat in women and 18-23% in men. 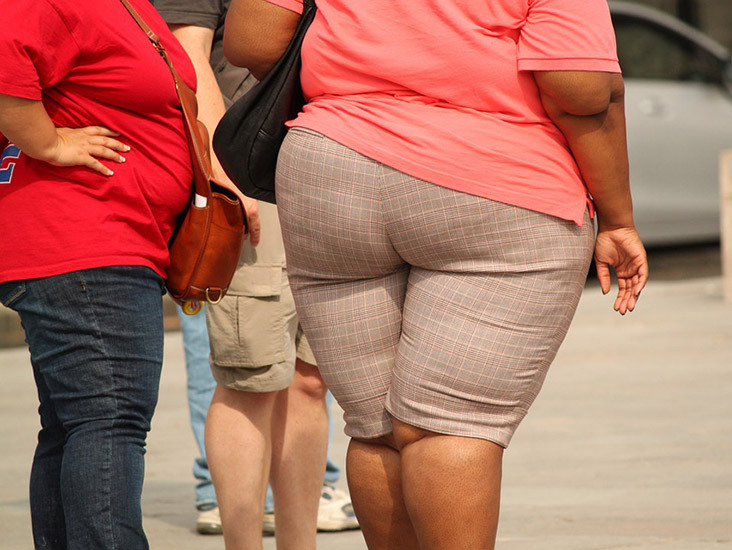 Women whose body weight is made up of more than 30% fat are considered obese. For men, it’s more than 25%. The easiest way to find out if you are carrying excess body fat and if you are overweight or obese, is to calculate your Body Mass Index or BMI. Click here to calculate your BMI. You will need to know your weight, height and waist circumference. If your BMI is greater than 30, you would be considered obese. We owe our liver a great deal of gratitude. It’s an amazing organ – the largest in our body – responsible for making bile (essential for digestion), removing toxins from our blood, making and storing glycogen (our back up fuel) and breaking down fats. When it comes to obesity and the liver, the equation is simple: the greater the BMI, the greater the liver damage. In people with obesity, excess fat starts to accumulate in the cells of the liver. A build up of fat in the liver cells is called non-alcoholic fatty liver disease. Most people with obesity have non-alcoholic fatty liver disease. While you may not show symptoms, the condition is serious and can lead to inflammation (non-alcoholic steatohepatitis) and irreversible scarring of the liver tissues, known as cirrhosis. Cirrhosis cannot be treated and can be fatal. There is some good news! While there are no drugs to treat non-alcoholic fatty liver disease and inflammation, both conditions can be reversed through adequate weight loss – exercise and a healthy diet is key. If you are overweight or obese, a blood test can detect non-alcoholic fatty liver disease. You may also need a scan to determine the severity of the disease. A LiverScan is a non-invasive and pain-free scan (similar to an ultrasound) that can measure the amount of fat that has accumulated in the liver and whether the disease has progressed. This result will help your doctor to determine the severity of your liver disease. Where can I have a LiverScan? Moonee Valley Specialist Centre has the only privately owned LiverScan machine in Victoria. To find out more or book an appointment, please contact us on 03 9372 0372.